This is a follow up post to The Elements and the Four Cardinal Directions by Aaron Leitch. The question naturally arises – why are they where they are? And: should they ever be changed? Whilst Ptolemaic Astrology is thus the proximate cause of the placing, it does enable several layers of symbolism to be interpolated into a temple arranged in this manner. Now, I have actually seen some exponents of Alchemy claim that Fire is the most volatile of all the elements. However, when I learned Alchemy, I learnt differently – that Air is the most volatile. Trying to figure out why these differences occur, I came to the conclusion that those in the Fire camp were taking their cues from Jean Dubuis, of the Philosophers of Nature, whilst the chap from whom I learnt Alchemy was instead inspired by Frater Albertus, of the Paracelsus Research Society. Hence, in this manner, starting from the East and circumambulating Deosil, one encounters the elements in the order they come out of chaos, from most volatile to most fixed. Pentagram (approximately) drawn on the belt of the Zodiac. The “Fire-first” school however do not rest there: taking the Air and Fire flipped around, they apply the order of the elements to the Tetragrammaton, hence: Fire, Air, Water and Earth = Yod Heh Vah Heh. This is in contrast to the GD view of the matter, which holds that the Tetragrammaton is based on Fire, Water, Air and Earth. The YHVH formula is based on Astrology, and is reflected in the Hexagram Ritual, the placing of the Elements on the altar in the Vault of the Adepti, and the order in which you would see the Cardinal signs rise above the Horizon if you got up at dawn on the Spring Equinox: Aries, Cancer, Libra, Capricorn – Fire, Water, Air, and Earth. The YHVH formula (actually the Yeheshuah Formula) is also the reason the for the assignment of the elements to the particular points of the Pentagram. The placement of the elements in the Outer order of the GD, however, is not based on the YHVH formula but on the ADNI (“Adonai”) formula – which is identical to that of the Four Winds of Ptolemy. What what what? There’s an Adonai-formula, I hallucinate that I hear you ask? Well, yes, actually. There are twenty four combinations of Aleph, Daleth, Nun and Yod, which each refer to one of the 24 seniors of the Book of the Apocalypse. The Adonai Formula is not generally known amongst English-speaking occultists as it comes from continental Europe. This is what Macgregor Mathers referred to when he mentioned the significance of “ADONAI” in his paper on the magical formulae of the Zelator grade (see: Pat Zalewski’s Inner Order Teachings of the Golden Dawn ). The late Robert Ambelain mentioned it in his book Practical Kabbalah, until his publishers decided to force the translator to take the English edition off-line. Hence I cannot in any good conscience encourage you to search for it online, despite the fact you may feel curious to do so. The Fire-First school of thought thus tries to bang their own placement of the elements into the YHVH formula like a Hollywood film producer trying to bang the wrong actor into the role of Batman: everyone know it does not fit, and it will only upset people. However – by removing the assumption that one necessarily has to work with the YHVH formula in all circumstances, and by learning that there are other Qabalistic formulae which are better suited to the task, a much more elegant solution is provided. Just as an aside, I would like to point out that at this point that the order Air – Fire – Water – Earth, is also the order of the elements as they are attributed to the four lower Chakras in Yoga: Air – Anahata (Heart); Fire – Manipura (Solar Plexus); Water – Svadisthana (Groin); and Earth – Muladhara (Base). Hence one is working the Pentagram ritual one can be said to be opening the four lower Chakra, in succession. Should the Order of the Elements Ever Be Changed? 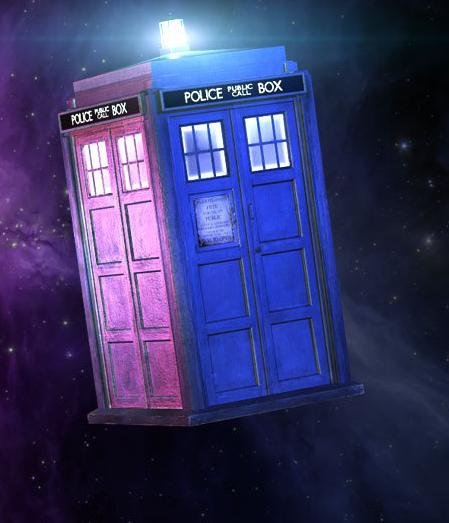 In Golden Dawn ceremonies we get to travel through time and space, and across dimensions! Sometimes I hear people opine that when casting the four quarters, the elements should be changed to fit local circumstances – for instance, a number of people who live in the Southern Hemisphere think that Fire and Earth should be flipped around, to match the course of the Sun as seen from their perspective. Now, what various pagans choose to do in their own traditions is up to them: but what about the Golden Dawn? Should the placing of the elements be changed in a Golden Dawn temple working in the southern hemisphere? A Golden Dawn temple in (e.g.) Australia, is not operating in Australia. Both of them, despite being on opposite sides of the world, are actually operating in one and the same place. The magical inner-workings of the Golden Dawn ceremonies take the Temple, and astrally transport it through Time and Space and across dimensions – to the Hall of the Duat, in the Egyptian otherworld. Hence, the correct placing of the elements should neither be for the Northern Hemisphere, if your temple is in the Northern Hemisphere, nor for the Southern Hemisphere if it is physically located there, but for how the elements would be placed in the Hall of Judgement in the Egyptian otherworld. And according to the GD tradition, that is: Air, East; Fire, South; Water, West; Earth, North. The Middle Pillar is the subject of a paper I recently delivered at a Golden Dawn themed open day. This talk is aimed at everyone including complete beginner to the Qabalah. In a little while we will be doing the Middle Pillar Ritual itself. The Middle Pillar Ritual seems to have been an original creation of Israel Regardie, which he synthesised from Golden Dawn teachings. The Golden Dawn before Regardie did not really use it per se, although they did contemplate the Tree of Life as a whole in ones aura. In the Golden Dawn we always invoke the highest first – always. Therefore we always start from the top (Crown) and go down. Many schools of Yoga do the opposite – they open the chakras from the bottom upwards. However: Sri Aurobindo, the founder of Integral Yoga, said that the correct Yogic method should be to open the chakras from the top down – like we do in the Golden Dawn. 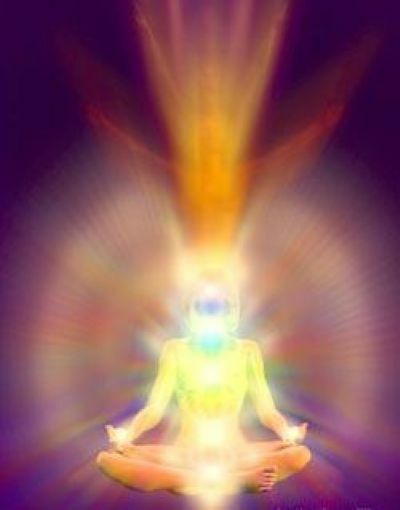 The reason – he says – is that by opening the chakras from the top down one prevents a sudden uncontrolled explosion of Kundalini, because the superior chakras will have already been stabilised and dedicated to God before the Kundalini (which resides in the base chakra) is awakened. NB: Kundalini rising in a controlled manner is good; exploding uncontrollably is bad, because despite feeling good it leads to bad side-effects. The “chakras” (actually “Sephiroth”) with which we work are: Kether, the Crown chakra; Daath, the throat; Tiphereth, the heart; Yesod, the sacral or genital region; and Malkuth, the base chakra. NB: The Sephiroth do not correspond exactly to those of Yoga, so it is best not tot try and keep looking for correspondences where none exist. The Middle Pillar Ritual does not necessarily fulfil the same function as raising Kundalini – it is an invocation of the Divine from above, as opposed to raising energy from below. References to chakras etc are but a convenient peg on which to hang my metaphor, for those not familiar with the Golden Dawn. Kether – the crown – does correspond fairly well to the Sahasrara, the thousand-petalled lotus. Both represent ones connection to the Universe. In the Golden Dawn the Kether point of one Qabalistic world is the connection to the Malkuth of a superior world: so we may imagine that energy spirals down into our crown chakra from a higher plane of existence. Daath – the throat – is slightly problematic. It is not actually a Sephirah – technically, it is a place where a Sephirah should be but tellingly, is not. Daath should be considered as a marriage of Chokmah and Binah. Daath does not have any attributions of itself: however, in the Hexagram ritual which we use in the second order, the point corresponding to Daath is associated with the supernals generally and Saturn specifically. For that reason, when we perform the Middle Pillar Ritual we use the divine name of the sphere of Saturn, i.e. Binah. In any event, Daath does not correspond perfectly with the throat chakra of Yoga. The “Vishuddi” chakra is associated with the element of Akasha, which in the Golden Dawn is more associated with Tiphereth. The next Sephirah is Tiphereth itself. As it happens both Tiphereth and its corresponding Chakra, Anahata, are associated with the element of Air, in spite of the Tiphereth’s other associations with Akasha or Spirit. Tiphereth itself is associated with the Sun. Below that is Yesod. This is in the same place as the Svadisthana chakra, however: Yesod is associated with Air, and Svadisthana is associated with Water. All of the Sephiroth of the Middle Pillar are associated with Air, in fact, apart from Malkuth, which is associated with Earth. Yesod itself is also associated with the Moon. Finally we have Malkuth, which like the Muladhara chakra the lowest chakra, represents the Earth – ones connection with the Earth. There is a fairly major difference, however: because the Yogi does his meditation sitting down, his connection with the Earth is the base of his spine – the perineum. However, because we do our Middle Pillar Ritual standing up, our connection i.e. our Malkuth centre is in our feet. Both the Muladhara chakra and Malkuth are (as said previously) associated with Earth. Incidentally, Dion Fortune worked out a method of working with all the chakras, albeit using Qabalistic associations with all of them. What she did was to work with the four (or five) Sephiroth which I have already mentioned: however in addition, she imagined the brow chakra (Ajna) as jointly-representing Chokmah and Binah; whilst the solar plexus chakra (Manipuraka) as jointly representing both Hod and Netzach. Daath becomes the Luna plexus, whilst the Vishuddi chakra is imagined as jointly representing Chesed and Geburah. She also formulated an exercise in which after these eight were opened one imagined them being ruled over by Egyptian God-forms. She also specified a method for partner-working – i.e. one partner invokes the chakras for the other and then vice versa. That digression aside, I will now speak about the Middle Pillar Ritual itself, and what it is used for. It is primarily a method for invoking spiritual blessings for ourselves. Israel Regardie however said that it could also be used for healing, and even as a simple method of practical magic. Regardie’s theory was this. One performs the Middle Pillar ritual – after which one is imagining and feeling oneself filled with light and energy. Then, to perform healing, whilst still contemplating that light and energy, one concentrates on the part which needs to be healed, imagining that light is flowing into that part. It is in effect a Qabalistic form of Reiki. This can be done on oneself, or with a patient who is present, or it can be used as a form of distant healing. 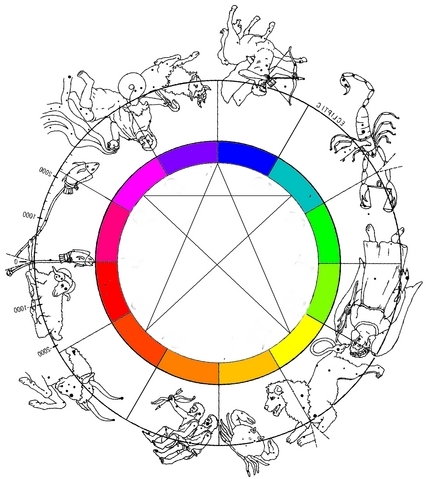 As to practical magic, Regardie said that the Middle Pillar ritual could be used in a way that is similar to what people who work with the aura know as colour breathing. So for example, to attract a specific influence into your life, one would perform the Middle Pillar ritual, and then still contemplating the light circulating in your aura, visualise that your aura is being filled with the colour representing that influence – whilst vibrating the diving names associated therewith. Regardie also said this could be extended to consecrating talismans. Having created a talisman for a particular purpose, one performs the Middle Pillar ritual, one contemplates the particular influence and its colour, and then one imagines that that light is flowing into the Talisman. In short, I recommend reading “The Art of True Healing” (which is included in “Foundations of Practical Magic”), “How to Make and Use Talismans” and “The Middle Pillar” itself – all by Israel Regardie. In actual fact the material added to the current edition of “The Middle Pillar” by Chic and Tabatha Cicero almost makes it worth reading by itself. By way of setting the scene, I asked all present to imagine themselves in their astral body, which had grown so large that they were the size of the Earth itself. Around them were the stars, whilst directly above their heads a mighty Dragon – the constellation Draco – was flying around and around in a circle, creating a Tourbillon of power (i.e. a vortex or whirlpool) drawing down energy from above. NB: this is essentially a simplified version of the visualisation that an Adept does when contemplating the Tree of Life projected in a sphere. A point of light appears in the centre of the circle traced by the path of the Dragon. The vortex draws this light down from above, so that it touches the crown of the participant. As is touches the crown it lights up the Kether centre – visualised as a sphere of white light directly above and touching the top of the head. The light is swirling around inside this sphere, following the perturbations of the vortex. At this point I asked everyone to vibrate the divine name of Kether – EHEIEH – six times, imagining that the vibrations were occurring in the sphere of Kether itself. Then I asked everyone to imagine that light from Kether was spiralling down the Middle Pillar like a corkscrew to the throat, lighting up Daath. Again the light was imagined as swirling around inside Daath. The name YOD HEH VAV HEH ELOHIM was vibrated six times, again imagining the vibrations were taking place in that sephirah. In a similar manner, Tiphereth was invoked with YOD HEH VAV HEH ELOAH VE-DAATH. Likewise: Yesod with SHADDAI EL CHAI. Likewise: Malkuth with ADONAI HA-ARETZ. The light was imagined as cork-screwing down even into the Earth. Then I got the participants to imagine light going down their left-side and up their right-side, enclosing them in a Vesica Piscis, the symbol of transmutation to a higher spiritual level. Then I got them to visualise the light going down the front of their body and up the back. Then I got them to imagine light coming up the Middle Pillar from Malkuth to Kether, where it fountained-out and poured down on all sides. Then I asked them to imagine that light was spiralling back up their bodies, literally wrapping them up. Given that I had previously been talking about using the Middle Pillar Ritual for healing, I told them that if anyone felt in need of it, they should spend a moment contemplating the person or part being filled with white light. Thereafter – as the flooding in Pakistan was current in the news at the time – I encouraged those present to send healing energy to that country and its people – and also the middle East generally. Finally, we closed by bringing our attention back to our heart-centres, and vibrating once the mystical names of Jesus – YEHESHUAH, YEHOVASHAH. I personally felt that the ritual was very powerful performed this way, especially with all the chanting.